Your Guide To Practice Pharmacy Aside from ‘government cuts’ and ‘mounting pressures,’ the real buzzwords in pharmacy for 2017 are, Practice Pharmacy. To an extent, the separation of workloads, working patterns and the traditional segregation of staffing had built a palpable wedge between pharmacists, nurses and GPs. We had our own responsibilities and were accountable for our own departments & their outputs. Placing pharmacists within the GP setting has changed this model. Some have approached these new roles with apprehension, others with enthusiasm. I’m probably somewhere in the middle. This is unknown territory, but the more I read into the roles and their perceived outcomes, the more enthused I am becoming. 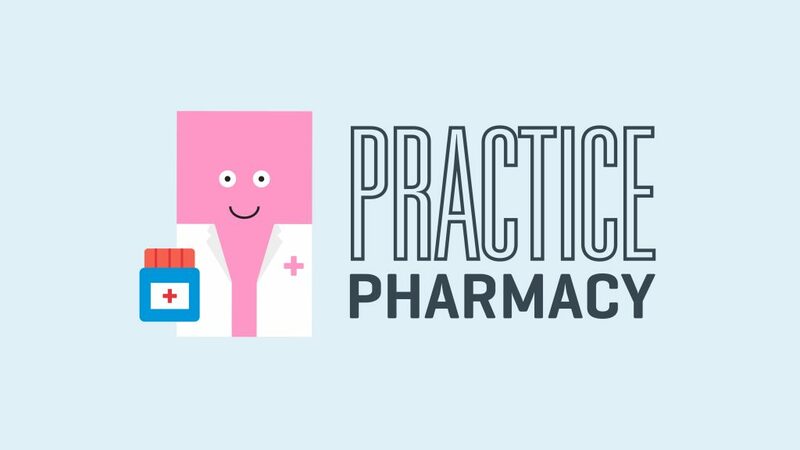 Practice Pharmacists are part of a team that exists to ease pressures on hospitals, community pharmacies, carers and doctors. We are undertaking a new type of responsibility. A typical day can include carrying out medication reviews, answering telephone queries, dealing with repeat medications and acting as a triage for those with long-term and varying conditions, within a practice setting. Prescription management is an important job function. You’ deal with medication that has been prescribed for patients having left hospitals, who may be entering care facilities. You’ll be the main point of contact for all medicine and prescription related queries in that locality. When I worked in the hospital, I loved the one-to-one contact with patients. Helping people understand how to get the most out of their medication was one of the most rewarding parts of my day. Practice pharmacist have a huge clinical role to play. Of course, there is an element to the role which includes auditing stock and procedures. You will be responsible for medicines and stock management. How do I become a Practice Pharmacist? There is a lot of training to be done around a Practice Pharmacist role. Becoming an independent prescriber is a must. Exemplary communication and an existing understanding of the workflow of a GP and nursing staff is a must. Clinical experience is another necessity. If you’re lacking here, you could volunteer once a week with your local GPO. Volunteering could also help you to understand the dynamic of a practice, and develop an understanding of how you could improve existing processes. You’ll need to have a record of building relationships across different disciplines, and maintain existing relationships with CCG colleagues, including CCG Pharmacists on prescribing related matters, to ensure consistency of patient care. The NHS are providing intensive training programmes for those who register an interest in such a role, with career progression being one of the most important factors. As with a lot of interviews, the hiring party aren’t just interested in your experience, rather, they want to know how you are going to develop yourself within their workplace. Locate a Locum can offer practical interview advice through a careers consultation, and we can help you gain clinical experience through our locum platform. Is a practice pharmacy not for you? If you're an experienced clinician and you want to earn £60,000 per year, with a car allowance, check out our Careers Platform.